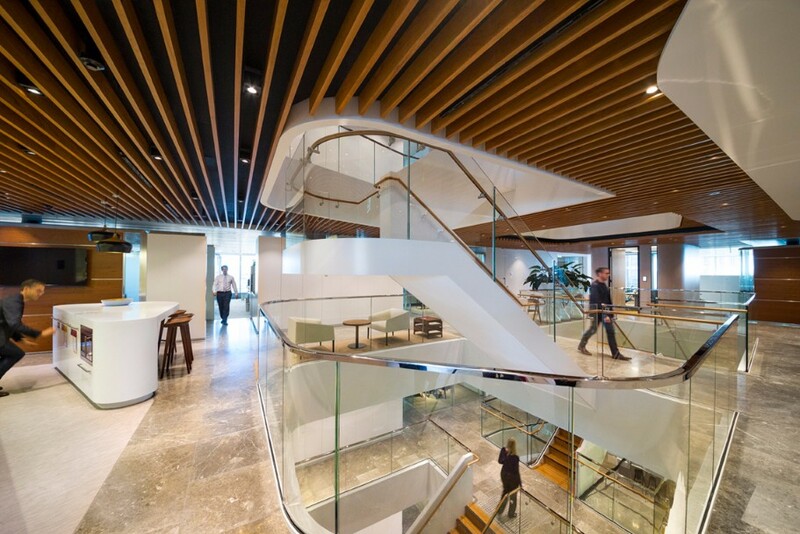 BCG worked closely with project manager, Lend Lease and architects, Bligh Voller Neild (BVN) at the design stages through to the construction phase for the multi level fitout for Freehills at 161 Castlereagh Street in the Sydney CBD. 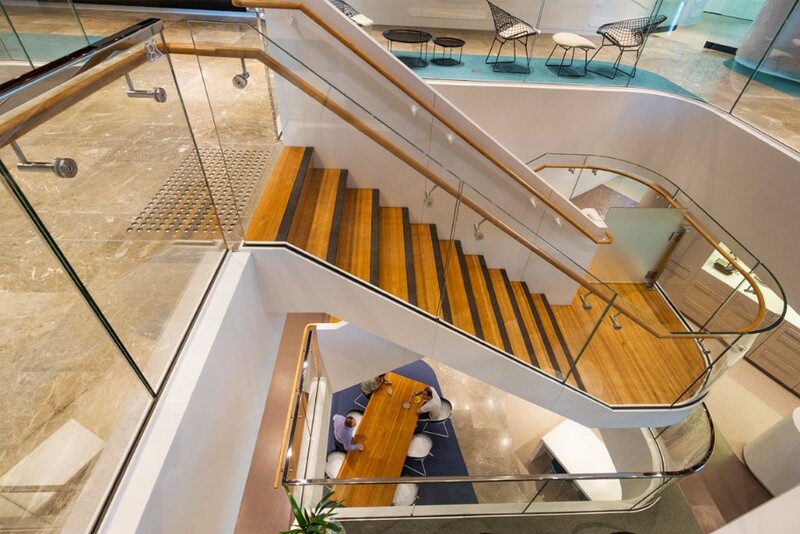 The architects design focus of creating interconnections between the many levels of this fitout was well served by the choice of frameless glass balustrades to the stairs and voids through the 13 levels of the tenancy. 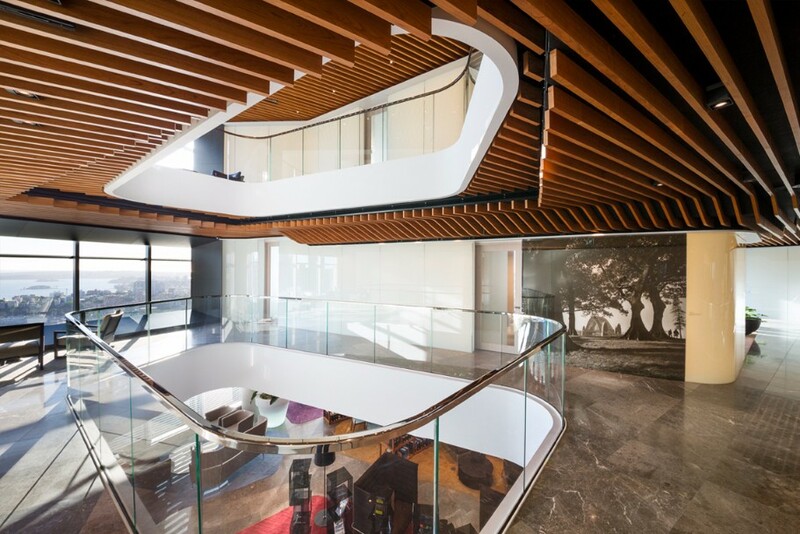 The integration of curved glass enabled the soft flowing plan forms to be realised within a uniform balustrade treatment. 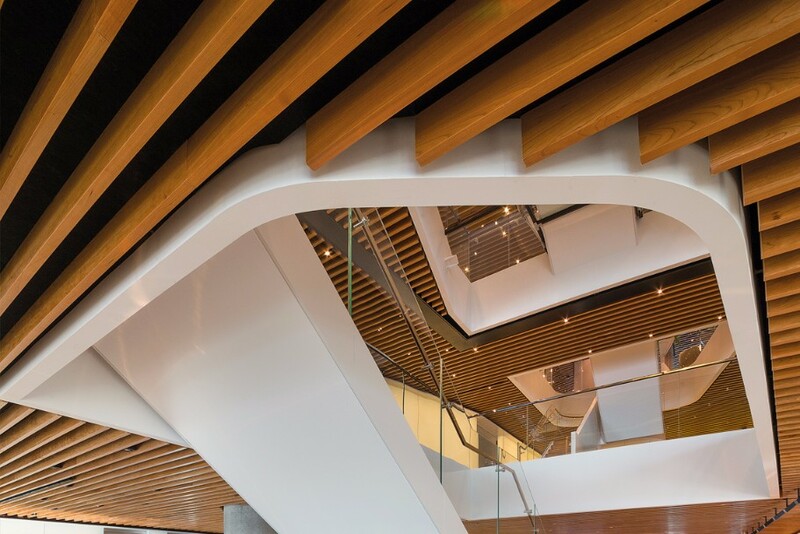 The curved motif was repeated and reinforced in other elements including joinery and Meeting Room Pods, which also featured BCG curved glass in various glass types. The balustrades, fabricated in heavy weight low iron toughened laminated glass are consistent with the highest level of finish for all materials used on this project. The role of the curved glass often to very tight radii and in a variety of glass types is integral to the success of the overall project.